Many of the finest restaurants, bars and hotel choose to use granite for their counters and bar tops. A granite countertop and bar top provides a high end look that gives the establishment a certain uniqueness that only granite can produce. Customers are wowed by the look and gives the impression of sophistication and quality. Operators love granite because it is easy to clean and maintenance is a snap. Many Granite Countertop Warehouse customers choose granite and natural stone because of its versatility. 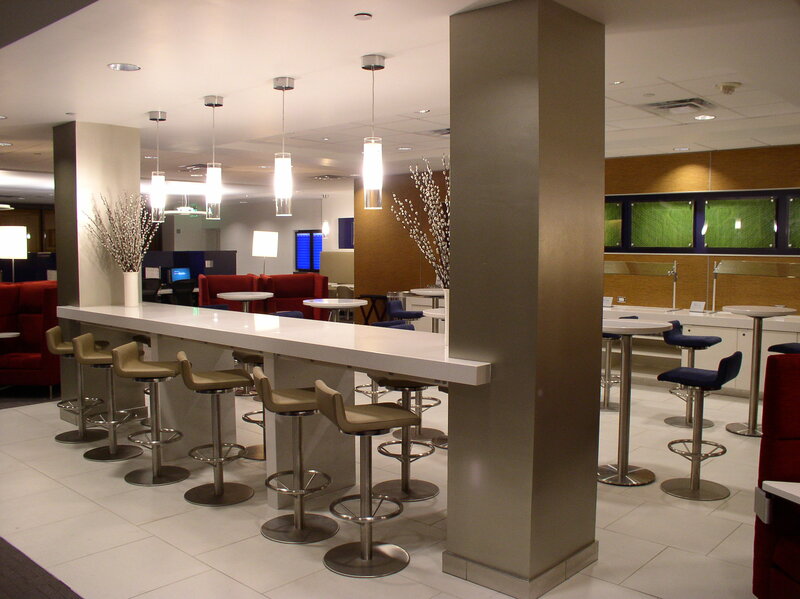 Our commercial countertops are used for both indoor and outdoor bars and counters with ease. The stone counters will not retain water or warp like wood and other materials. Many operators like for us to match the table tops to their bar tops. Custom countertops can also be fabricated to give an even more unique look to any establishment. This gives the decor a certain continuity that is striking and alluring.